Welcome to Maryland Sharps Disposal, we are the authority on Sharps Waste Disposal in Maryland. We are a group of small privately owned full service Biohazard Waste transporters handling sharps disposal servicing Maryland, Virginia & Washington DC. We have a proven track record providing the best Sharps Waste Disposal, Sharps solutions with safe and cost-effective Sharps Removal management of Clinical Biohazard Medical Waste, Sharps, syringe disposal and affordable Maryland needle removal and disposal. We partner with our Maryland Sharps waste customers and Maryland healthcare communities to manage and reduce Biohazard waste from collection to disposal while recovering valuable resources and creating a healthier Maryland environment for everyone. Maryland sharps disposal is one of many services, we also provide medical waste disposal, biohazard waste removal and hazardous waste services in Maryland. While we specialize in the removal, management, collection, transportation, treatment and disposal of all sharps waste in Maryland. 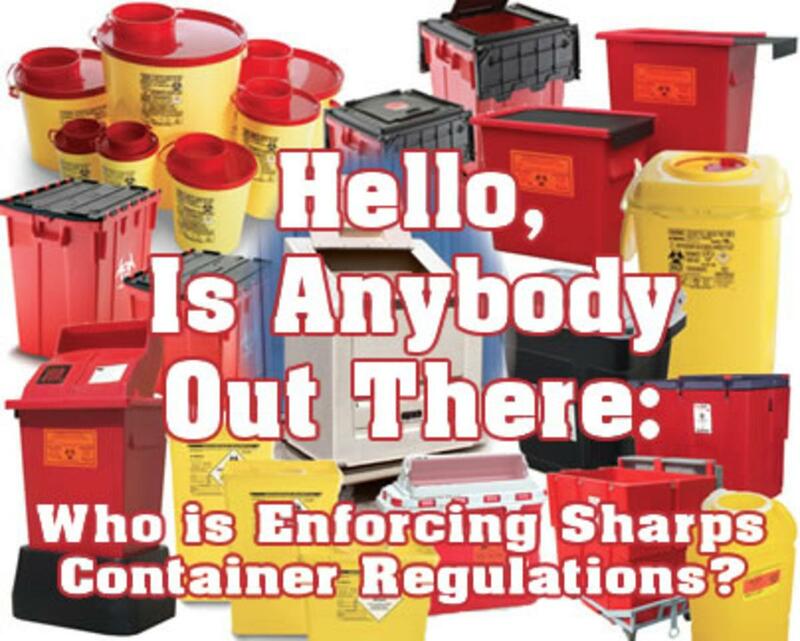 We also provide services that include but are not limited to the sales of Maryland sharps waste handling products, OSHA training and waste stream management/consulting services for a variety of customers using sharps containers in Md. Collectively our experts work every day to provide our customers in Maryland with an affordable solution for compliant Sharps disposal service, with no contract or hidden fees. Contact us today in Maryland and we will direct you to one of our associates for service and pricing on your Maryland Sharps Disposal. 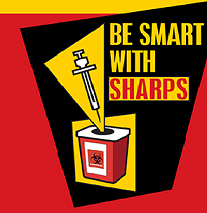 Be Smart With Sharps in Maryland - Check out the link for great information! Or contact us for Maryland Needle Disposal. The Maryland Coalition for Safe Community Needle Disposal knows of no known community sponsored sharps disposal drop-off programs in the state of Maryland. The state currently allows patients to place used needles/pen needles, lancets (sharps) in a household container such as a laundry detergent bottle, bleach bottle or other opaque sturdy plastic container with a screw-top lid. When that container is full, you should place it in your regular garbage – not recycling. Though this is still approved in Maryland it is the least desirable way to dispose of used sharps.